Today is Watch Wednesday! Today’s featured watch collection is Citizen. From the Men’s Eco-Drive Collection, to the classy Women’s collection, Citizen watches are for everyone! The Eco-Drive collection is for people that are always on the go. It never needs a battery! 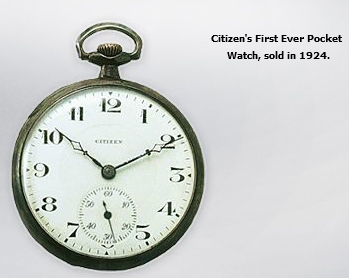 During the last ninety-three years Citizen has expanded its business throughout the world and has achieved recognition as a global brand. The past 30 year period has coincided with the company’s dramatic rise in its current position as the world’s largest watchmaker, a distinction Citizen has held every year since 1986. More recently, Citizen has staked out a new position as the leader in Ecologically Friendly timekeeping with its Eco-Drive collection of light powered watches. With models ranging from dress to sport to professional dive watches, Citizen Eco-Drive runs continuously in any kind of natural or artificial light for a lifetime of use. In 2007, Citizen introduced radio controlled atomic-timekeeping to the Eco-Drive collection, thus developing the most accurate watches in the world. With the presentation of the Eco-Drive Satellite Wave at Baselworld 2011, Citizen has re-affirmed its position as a worldwide leader in timekeeping technology. What is the Eco-Drive technology and how does it work? ~ Natural and artificial lights are absorbed through the dial of the watch. A special solar cell converts the light into energy. Enough energy is stored to power the timepiece, even in the dark, from 135 days to 7 years depending on the model. You never need to change a battery! A timepiece that never needs a battery change and will run forever. Citizen Eco-Drive technology converts natural and artificial light sources into energy. It recharges continuously in any kind of light to run forever. Eco-Drive timepieces are ‘Unstoppable’. We recommend you have the power cell replaced by an Authorized Citizen Retailer or Service Center. Be sure to keep the power cell away from infants or small children. Should accidental ingestion occur, we recommend that you seek immediate medical attention. Avoid leaving the watch in hot or cold places for long periods of time. High temperatures may shorten the life of the power cell, while low temperatures may cause time delay. In the latter case, however, accuracy will return when the watch is worn on the wrist again. Avoid exposing the watch to heat (i.e. spas, saunas and hot showers) as extreme heat will cause some watch materials to expand, thus impacting on the water resistancy capabilities of the watch. The watch may be worn while playing golf or other activities, but avoid severe shocks such as dropping it on a hard surface. No problems should occur from using the watch around ordinary household electric appliances such as TV sets or stereos. Keep away from magnets. Be aware that since the watch and bracelet is worn next to the skin, it collects dust and perspiration and becomes soiled if not cleaned regularly. This is particularly true of the inner parts of the links or mesh of the bracelet. Soil and rust, when present in a bracelet, are dissolved by perspiration and can cause staining of cuffs and irritation of the skin in some instances. Heavy perspiration should be wiped off the watch and bracelet with a soft dry cloth. The bracelet should be cleaned occasionally by using an old toothbrush and warm soapy water after which the soap is thoroughly rinsed with clear water and the bracelet dried completely. The foregoing manner of cleaning should not be done if the watch is not water- resistant but should instead be done by your jeweler. Heavy perspiration, if not removed from a leather strap, can wash out the natural oils and cause the leather to become dry and deteriorate. Any moisture should be blotted with a soft dry cloth or paper towel and the strap allowed to dry naturally. Salt residue and soil can be removed from the leather by cleaning with a dampened soft cloth and mild soap or saddle soap. Occasionally, the inside surface of the strap should be cleaned by using a soft cloth dampened with alcohol. The strap should always be worn a little loosely (one finger space between wrist and strap) to allow air to circulate, causing any moisture to evaporate. Thorough cleaning, using the same method, should especially be done after use in salt water. Solvents, oils, perspiration, tanning lotion and salt can cause rubber to deteriorate if not removed. See our huge collection Citizen watches! This entry was posted in Watches and tagged citizen, citizen watch, jewelry warehouse watches, watch, watches. Bookmark the permalink.